The Bargain of the season!!! PLACE YOUR ORDER NOW TO AVOID MISSING EARLY WINNERS In February. Or call 0151 520 0080 with your debit or credit card details. Also you can order via the website using PayPal. John Morris is offering to provide you with an outstanding ‘Triple Crown’ package. If you have enjoyed and profited from the autumn edition of Jumping Prospects, you must place your order now for this sensational bargain ‘Triple Crown Package’ that includes…. The new book dovetails perfectly with the sensationally successful autumn publication. 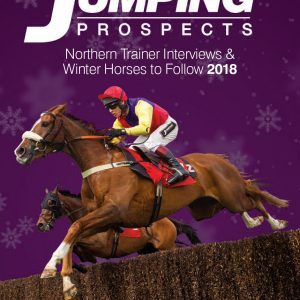 It has now been six months since I completed the Trainer Interviews with plenty happening on the jump racing front, I’m sure you will want to read about the latest news concerning the new horses I discovered whilst talking to trainers and my network of contacts. I’m sure there will be some decent priced winners to come for the Spring Contenders 2011 Book. Features updated Trainer Interviews, with Paul Nicholls, Alan King, Donald McCain, Rebecca Curtis plus others. There will be the Special Selection of Spring Contenders feature that will be making their own headlines from February onwards. I’m hopeful many of them will prove successful at decent odds. The Dark File of unraced horses and those ‘darker ones’ that might have slipped under your radar! The Spring Contenders Book will certainly point you in the direction of further winners. The Jumping Prospects autumn book produced 150+ winners by early January 2011. I will be delighted if the Spring Contenders book produces half that total between now and the end of April. Surely you won’t want to miss the first part of the JUMPING PROSPECTS TRIPLE CROWN CHELTENHAM FESTIVAL CONTENDERS DOSSIER. discussed in-depth in this professionally produced Jumping Prospects Dossier publication. I will look to present a case for the major contenders in each race. Of course the top races will present those likely to figure more obviously than some of the shoulder races. However, I have in the past pulled many rabbits out of my festival hat…this year will not be any different! My Nap of the Festival in 2010 was PEDDLERS CROSS… WON 7/1! The CFC DOSSIER is comprehensive, entertaining and an informative read. It is my intention is to send out this Festival publication to subscribers on Wednesday 9th March. However, the third part of this Triple Crown Package is definitely worth considering. bonus. However, you might shudder at the thought of calling me to discover my selections at Cheltenham. I guarantee I will provide you with a low cost 0844 telephone number (3pp min). This will give you access to my telephone message placed on line after 8pm each evening during the Cheltenham Festival. The first message on line 8pm Monday, then same time on Tuesday, Wednesday & Thursday evenings. The bookmakers now put up their prices during the early evening. They have moved with the times and as I don’t like the grass to grow under my feet, I will be right in their faces with my Festival Selections being made available during the evening, enabling you to obtain the real value on offer. Think about the advantage of this idea. If you work during the day, you will now have access to my Cheltenham Festival Selections after 8pm! Of course you don’t have to take up this offer to call the 0844 number, but last year my nap of the entire CHELTENHAM FESTIVAL… PEDDLERS CROSS WON 7/1!